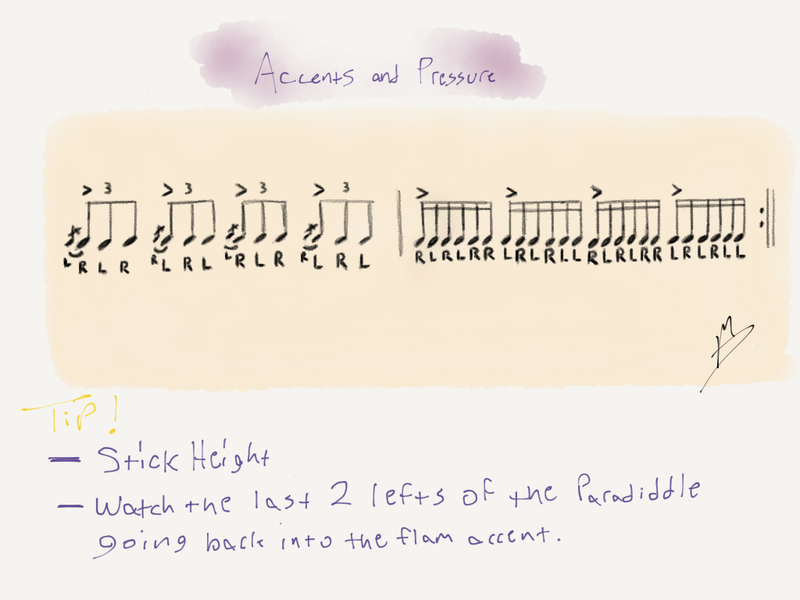 This weeks lesson is a short exercise focusing on accents and fulcrum pressure. When we pair the flam accent and double paradiddle together we see that the motion of our forearm and hand movement remain the same, placing the accent on (1, 2, 3, 4). The pattern changes but what I want us to focus on is the fulcrum pressure applied and released between the two rudiments. Be sure to keep an eye on your stick height! Start out at 65 BPM to give yourself time to focus on the mechanics of the rudiments then increase the BPM by 10 and keep moving forward. ← Upcoming Interviews On Behind The Kit Podcast!